Family photo albums are dusty time capsules from another era. But in the near future, they might also be crucial documents predicting future genetic diseases. Research led by Dr. Nellaker and Prof. Zisserman at the University of Oxford has have developed software that can detect the risk for genetic disorders in children, such as Down and Treacher Collins syndromes, just by scanning old photographs of their family members. Over 7,000 rare genetic disorders are known, and although each is unique, there is at least one common thread: 30 to 40 percent of them involve detectable abnormalities in the cranium and face. The Oxford project, called Clinical Face Phenotype Space, builds on this knowledge, melding machine learning and computer technology to scan family photos and cross-reference them with a database built from images of people with known genetic disorders. The Clinical Face Phenotype Space recognizes faces in photographs regardless of a person’s pose or facial expression, image quality, lighting variations or other factors. The project homes in on the person’s mouth corners, nose and eyes and compares them with photographs in the database to predict possible disorders. The photographs could be used to compare living children with photographs of their older relatives, even dead ones. Then the algorithm clusters people with similar conditions, potentially detecting disease long before it occurs. Researchers believe it could even help diagnose rare, previously undiagnosed disorders if patients are clustered with others who have previously undetected similarities. For the trial run, researchers built a database with 1,515 healthy patients and 1,363 photographs depicting patients with eight known genetic disorders. 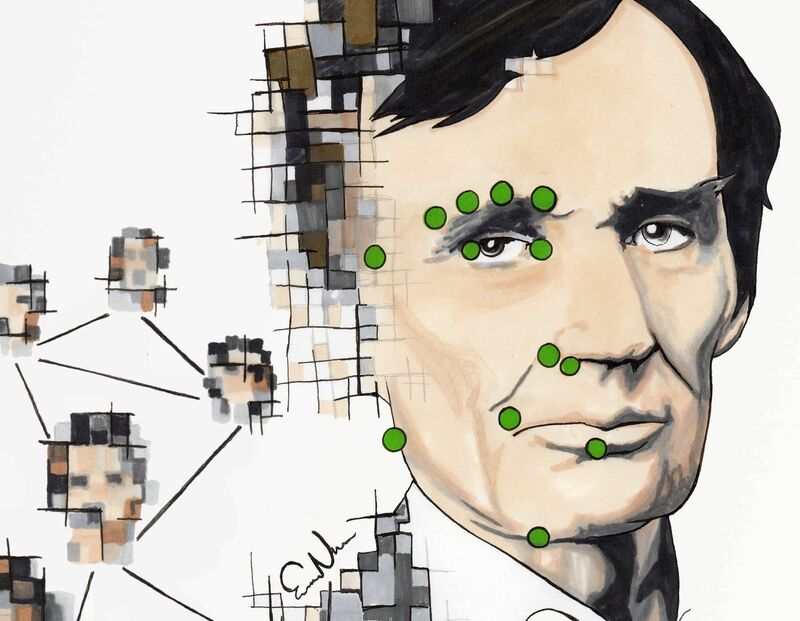 The resulting algorithm correctly detected faces with disorders, making it 27 times easier to match with another face that had been shown to have the same disorder. Today, 1 in 17 people has a genetic disorder, but only a minority of them receive an accurate clinical diagnosis due to unusual and varied symptoms among patients. Researchers hope that in the future physicians will be able to use a smartphone to take a photo of a patient and quickly run it through the database to discover if he or she has a genetic disorder. In the past, 3-D imaging has been used to analyze conditions like autism, schizophrenia and fetal alcohol syndrome, but this program takes complicated imaging equipment out of the equation altogether.